Safety is paramount when choosing your infant car seat. That’s why safety is the most important ranking factor in our reviews of the best infant car seats available today. But even the safest infant car seat won’t do any good if it isn’t installed properly in your car. For instance, the Center for Disease Control and Preventions estimates that the risk of dying in a car accident goes down by 71% for children who are properly secured in a car seat (source). Sadly, 46% of infant car seats are installed incorrectly, leaving children vulnerable in case of an accident (see Consumer Report study below). 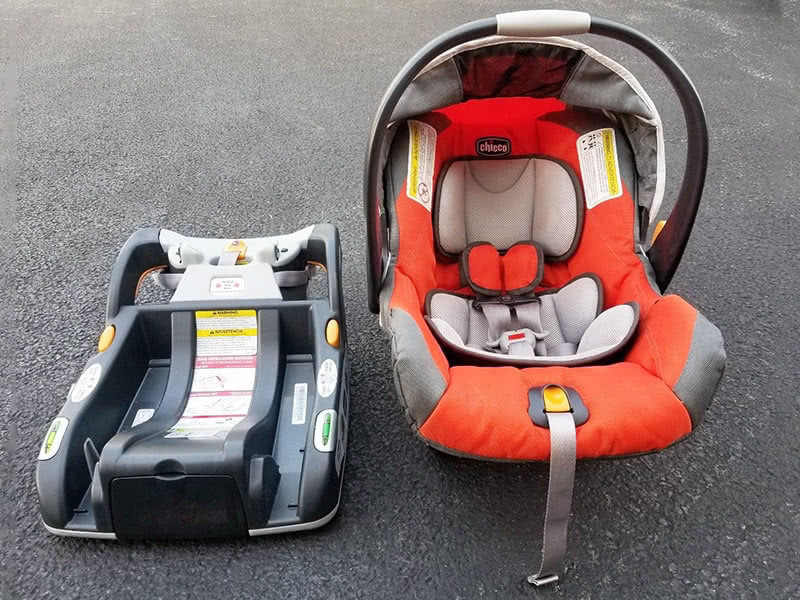 So, while we encourage you to pay close attention to the quality of a car seat when making your purchase decision, you should pay equal attention to the installation of the seat in your car. In this guide, you’ll see exactly how to securely install an infant seat in your car with a few simple steps. You’ll also discover some insider tips that we’ve learned over the years. Keep in mind that installation recommendations will vary by car and car seat manufacturers. 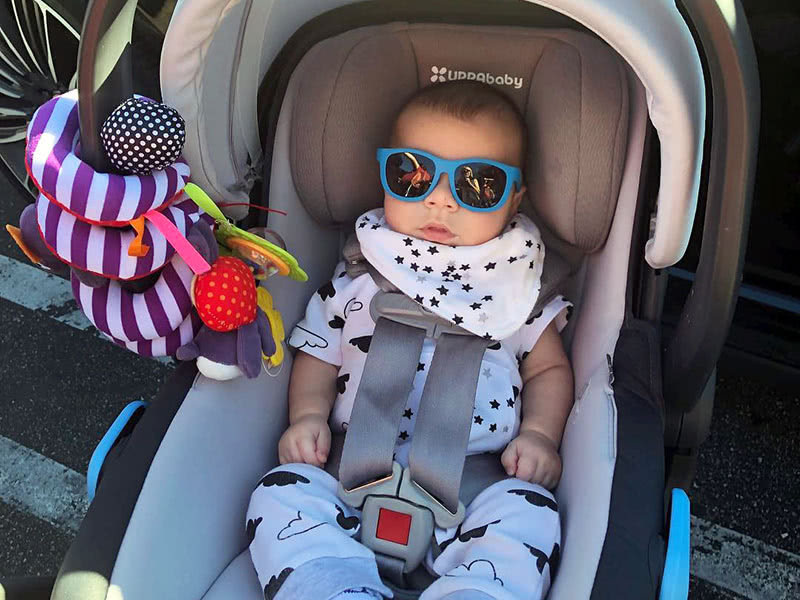 Always read both your vehicle and your car seat installation guides in details to understand how to safely install your infant car seat in your car. 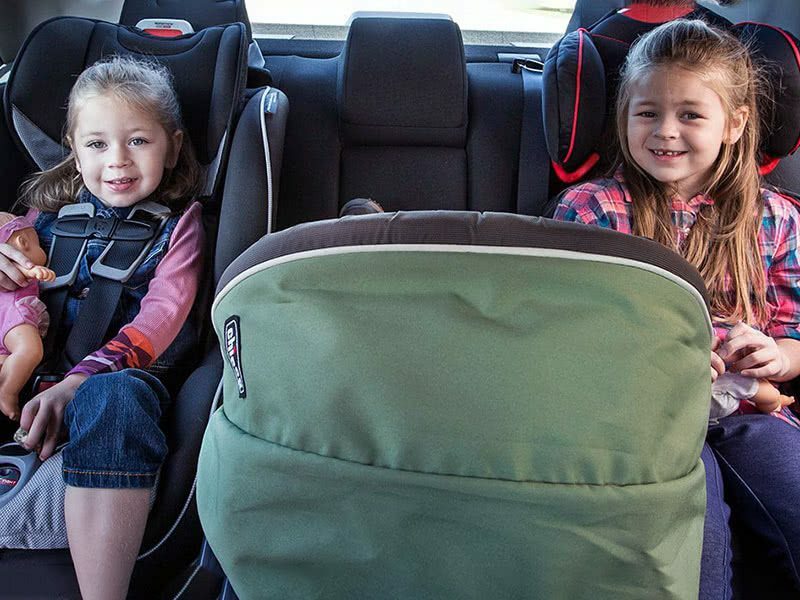 The UPPAbaby MESA is one of the best infant car seats of the year. Photo by Hannah Kroll-Belok. This guide is not meant to replace your manufacturer’s installation manual. We want instead to provide you with a few general tips based on our own experience. More importantly, we also want to emphasize how important a proper infant car seat installation is to ensure the safety of your child. This car seat installation guide is meant for infant car seats. Those seats are for infant and are always rear facing. The information contained in this guide are mostly not relevant if you have a front-facing car seat or a booster seat. Before you install your child in the car seat, you need to securely install the seat in your car. It’s only when the seat is safely secured that you can place your baby in the seat (except if you’re using a seat without a base, see below). We’ll first look at what is the best place to install a infant seat in your car. We’ll then show you exactly how to securely install a seat with a base and without a base. The very first thing you’ll have to figure out when installing an infant seat in your car is where exactly to place it. 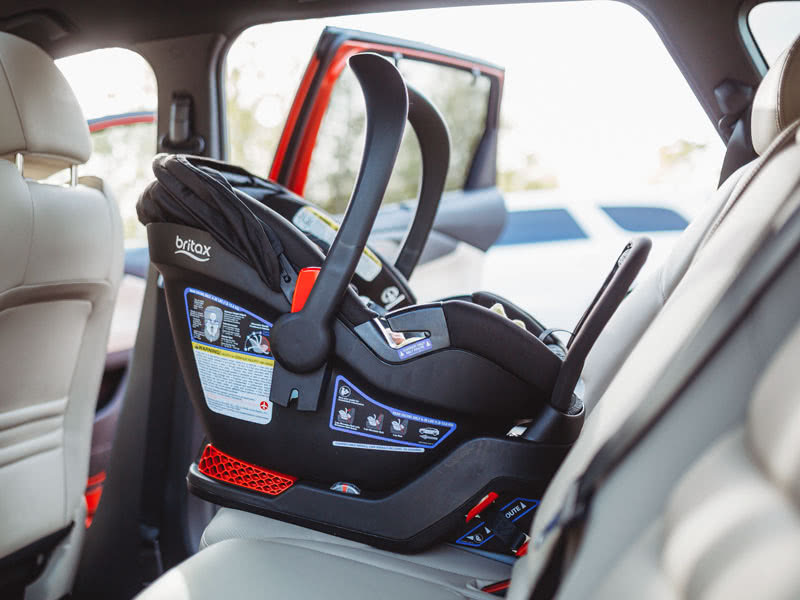 After numerous tests and studies, the official journal of the American Academy of Pediatrics found that the safest place to install an infant seat in a car is the center rear seat (source). In fact, the study showed that until 3 years old, children sitting in the center rear seat were 43% safer than sitting on the side in the back. For a start, infant car seats should never be placed in the front of your car. The front passenger seat is the most dangerous seat in your car. The center rear seat is the safest place to install your baby car seat. Infant car seats should also not be installed on a seat with an airbag. While airbags are great to protect adults, they are unsafe for infants in a car seat. In the case of an accident, the airbag might cause additional injury to a child by abruptly pushing the seat away. Many parents prefer to install their infant car seats on one of the sides of the car. This makes for easier access while sitting in the front or when installing your child. In some cars, the center seat is also lacking the necessary LATCH or seat belt path to securely install the infant seat. In that case, one of the sides is the second-best alternative. How to securely install an infant car seat with a base? 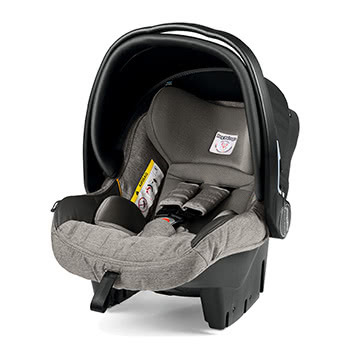 If your car seat came with an installation base, as most of the best infant car seats on our list do, it will make the installation much easier. Note that a base doesn’t make the seat safer, but it does make the proper installation of the seat much easier, resulting in overall safer conditions. Detach the seat from its base. Install the base at the back of your car. Prefer the LATCH system if both your base and your car offer that option. Once the base is tightly installed, attach the car seat on its base. You can see in the video below how to install an infant car seat with a base and a LATCH system. This is for the Chicco KeyFit 30, our top ranking infant car seat thanks to safety ratings and great value. 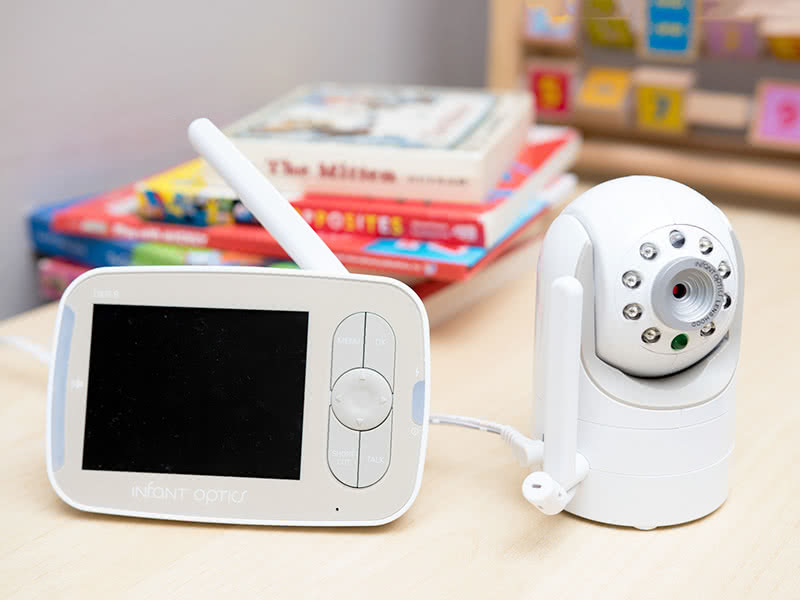 You can read our review of the Chicco KeyFit 30 and check the latest price on Amazon. The great thing with a base is that you can leave it in your car and only take the car seat with you. 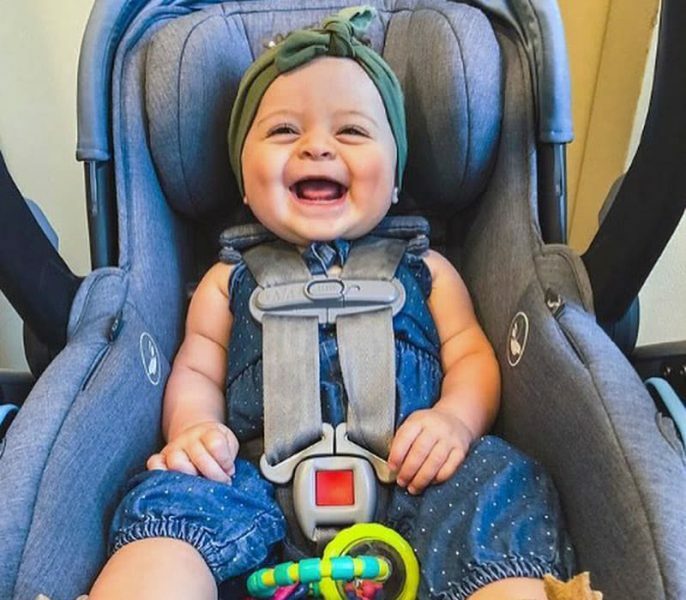 Check our infant car seat and stroller compatibility guide if you need help finding the right stroller and adapters for your car seat. Most cars sold after 2002 come with what’s called a LATCH system on the rear seats. LATCH stands for Lower Anchors and Tethers for Children. While a LATCH installation isn’t safer than a seat belt installation, the system does make for a much easier installation, thus improving the overall safety conditions. Always check your vehicle user guide and your car seat user guide to see what is best for your child. 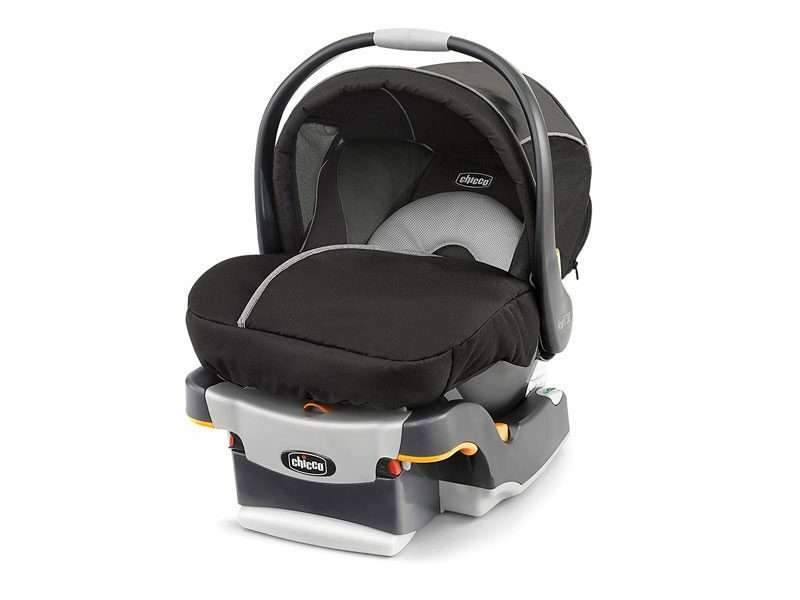 The Chicco KeyFit 30 is one of our favorite infant car seats. How to securely install an infant car seat without a base? If you’re often using your infant car seat in taxis or Ubers, you won’t be able to take advantage of the base. 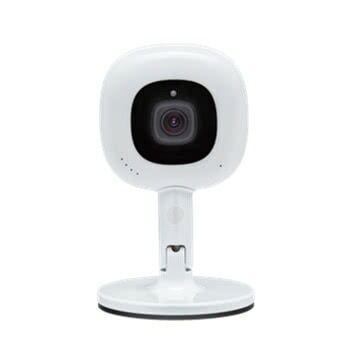 As mentioned above, it won’t make the installation less safe but it will require you to pay extra attention to install it properly. Start by reading your infant car seat manual for that particular scenario. Some manufacturers recommend that you place a towel or a large cloth between the infant seat and the back seat of the car to ensure proper inclination. Depending on the seat that you bought, you might have an American seat belt path or a European seat belt path. We prefer the European seat belt path as it adds an extra layer of safety by doubling down the seat belt at the back of the seat. You can see in the video below how to install an infant car seat without the base and with a European seat belt path. This is for the UPPAbaby MESA, one of your favorite infant car seats thanks to its natural flame-retardant fabric that’s very gentle on baby’s skin. You can read our review of the UPPAbaby MESA and check the latest price on Amazon. 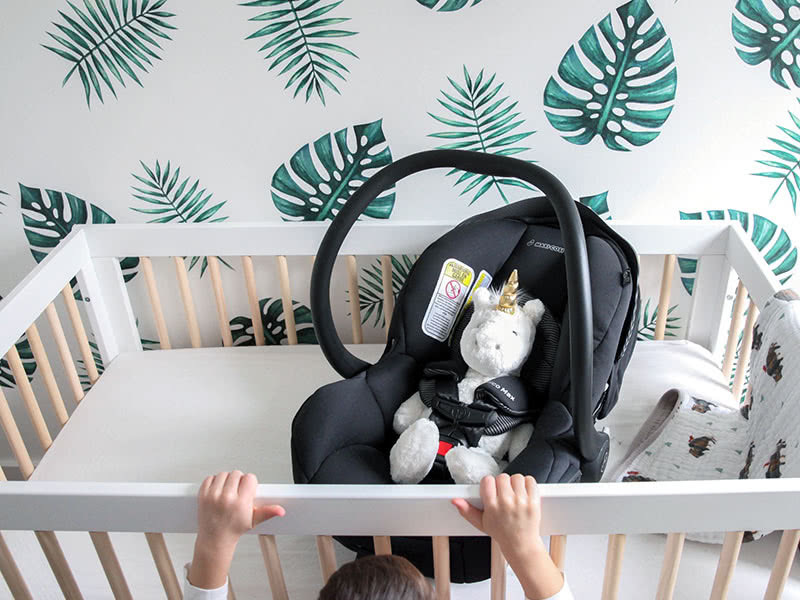 After testing pretty much all the most popular infant car seats available today, we’ve learned a few things when it comes to installing them properly. First, if you’re using the seat belt to install the base or the seat without a base, you should always lock the seat belt after installing the seat. Place the seat in the correct position, adjust the angle, buckle the belt, then firmly pull the belt to engage the locking mechanism. 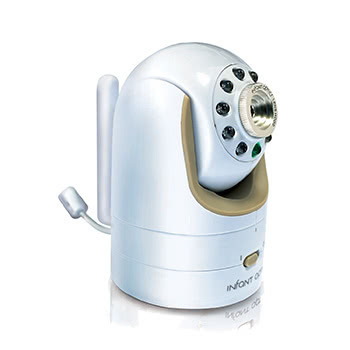 Once the locking mechanism is engaged, tighten the installation as much as possible. The seat belt will only be able to go back in, but won’t get loose. Second, make sure to correctly adjust the angle of the seat and the base. Most infant car seats have a level line on the side that helps you see if it’s parallel to the road. Some bases also come with level indicators on the side. Finally, tighten up everything before placing your child in the seat. Give a good shake to the seat when you’re done to verify that the installation is secure. Wiggle the seat back and forth and from side to side. If it’s correctly installed, it shouldn’t move more than an inch in any direction. The UPPAbaby MESA is another top ranking infant car seat thanks to its ultra soft fabric. Now that your infant car seat is securely installed, it’s time to bring your baby in. This should be the easy part, but we know from experience that it won’t always be. If your child is nervous or crying, it might be hard to securely tighten the strap around their chest. Before you begin, check your car seat manual for the height and weight limits. Most infant car seats are for children who weigh between 4 and 30 lbs (2 –13.5 kg) with a height below 30 inches (76 cm). In general, you’ll want the top of your baby’s head to be at least 1 inch below the top of the seat back. For premature infants, you must consult a doctor before using an infant car seat to make sure that your model is appropriate. Some car seats come with an extra cushion for small or premature babies that you can remove at a later stage. Beware that a premature infant may have difficulty breathing or have other medical problems when placed in a seated position. Feed your baby 10 minutes before placing them in the car seat. If possible, keep them calm and relaxed while you install the seat and only bring your baby at the last minute before departing. Most babies enjoy the soothing movement of a car. But they will get anxious if you keep them for too long in their car seat before you take off. For a safe installation, make sure that the seat strap is straight and snug. You don’t want the strap to be too tight and uncomfortable for your baby, but the strap shouldn’t allow any slack. Finally, you shouldn’t dress your baby in bulky clothing. Bulky clothes make it harder to strap in your baby safely. They also make the ride less comfortable for your child. During the winter, you should place a warm cover on top of the seat instead. Just make sure that they have enough room to breathe properly. 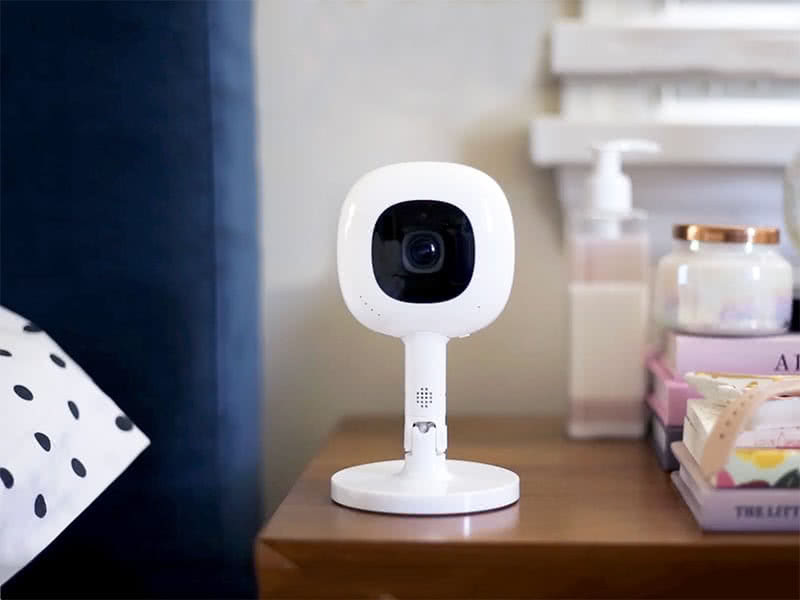 And if you live in a place where it’s cold all year long, you should check the winter version of the Chicco KeyFit 30 that comes with a warm infant insert. 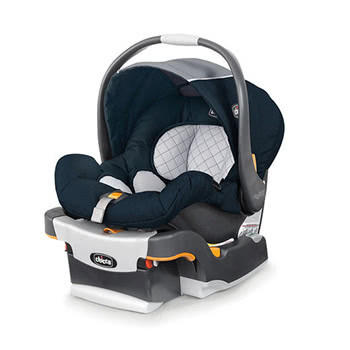 The Chicco KeyFit 30 Magic Infant Car Seat is perfect to keep your baby warm in the winter. What side do you put a car seat on? You should ideally place your infant car seat on the center rear seat of your car. Are infant car seats safer than convertible? Every car seat sold in the US meets the minimum safety requirements. That said, infant car seat are designed especially with infants in mind. They are also easier to carry with you and attach to a stroller if needed. Can you put a baby seat in the front seat? No, you should never place an infant car seat on the front seat of your car. This is the most unsafe place in your vehicle. It is particularly dangerous if you have an airbag that risks aggravating a potential accident. We used several authoritative sources to write this guide on infant car seat installation. We recommend that you read them if you want to learn more about car seat safety in general. These are also great resources if you want to understand a particular aspect of child safety or want to stay up-to-date with the latest research. Saferide4kids has an in-depth article on where to place multiple child seats in a car that’s worth a read if you have more than one child: saferide4kids.com. Britax, a car seat manufacturer, has a good article about the LATCH system: britax.com. And here’s the article from Consumer Report mentioned in our introduction. Photos by Chicco, UPPABaby, Britax, Jen Stockburger, @raising_the_wild, and Baby Gear Essentials.